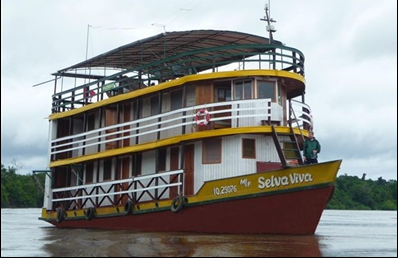 The SELVA VIVA boat is designed as a multi-use platform of allowing different types of missions. Its main 25 m2 room serves as restaurant or meeting/projection lounge. The upper deck, with its plastic shelter on part of the deck, offers a surface of 120 m2 allowing organizing more important meetings. In terms of lodging capacity, the boat disposes of 4 double cabins and 2 single cabins but permits to receive a higher number of travelers thanks to the possibility to superpose beds or by adding hammocks on the upper deck. Its maximum capacity is then up to 18 peoples excluding the hammocks. 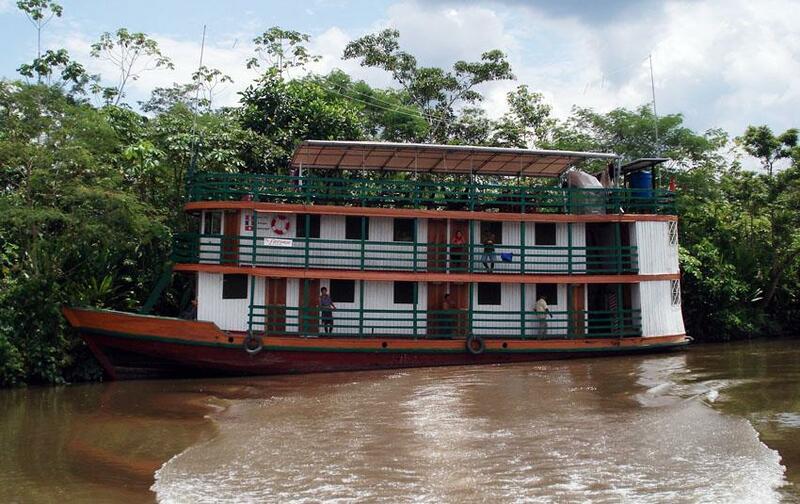 LATITUD SUR is proposing cruises on the Amazon, in Peru, on its boat, the SELVA VIVA (“The alive forest” in spanish). By this way it allows you to combine entertainment, vacations, in group or in family, with solidarity. 100% of the benefits of this activity are sustaining our activities in development for autochthonous communities. Through these cruises, you can enjoy discovering local cultures and thanks to our relationship with them, developed for years by the implemented projects, this contact will be genuine. You can also appreciate the richness of the rainforest from the sundeck of our boat or walking through this exceptional nature, leaded by our guides who will help you knowing better local biodiversity. Not being a travel agency we are open to adapting our programs to your wishes and our crew (7 persons) will be very kind to show you what we implement in the communities with the help you bring to them by cruising with us. We can organize also student trips or scientific and naturalist expeditions. Built on an innovating concept (systematic approach, work in network, interaction of the knowledge, itinerant training), our projects try to put in relation numerous local actors of different nature (local universities, research institutes, NGO, native organizations) with the aim of getting to the populations, mixed and natives, a better control of their insertion in modern society and a better control of their environment. . Without recognition of the autochthonous territories, there is no ensured future for these peoples and the preservation of their culture is uncertain. The rural exodus and the acculturation cannot be fought without an intensification of the autonomy and the capacity of self-management (empowerment) of the local populations. The development with identity allows reconciling the new economical necessities of these populations and nature conservation. Most of the populations of the Amazonian basin are victims of their estrangement because of the high costs of transport. By putting the SELVA VIVA in the service of solutions adapted to their vital needs, we hope to participate in the protection of the Amazonia while improving the living conditions of the local populations. Thanks to its technical expertise, LATITUD SUR positions at the same time as a ground actor and a project coordinator in connection with local partners and institutional financiers. 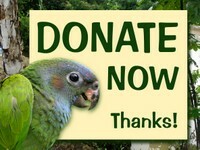 It is a question in that case of rationalizing the helps that reach Amazonia to make them more effective.